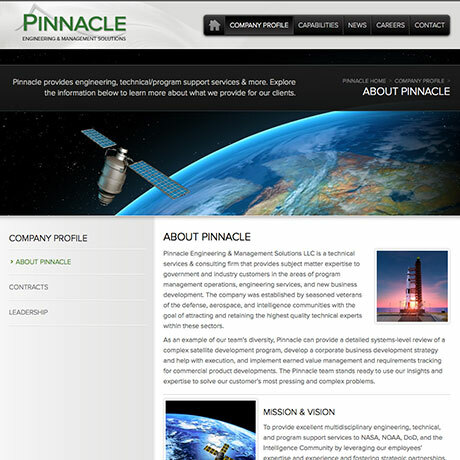 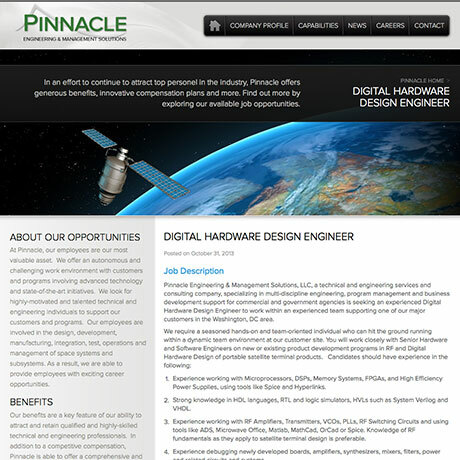 Pinnacle Engineering & Management Solutions is a Washington D.C. based company with a focus on providing superior multidisciplinary engineering, technical and program support services to NASA, NOAA, DoD and more. 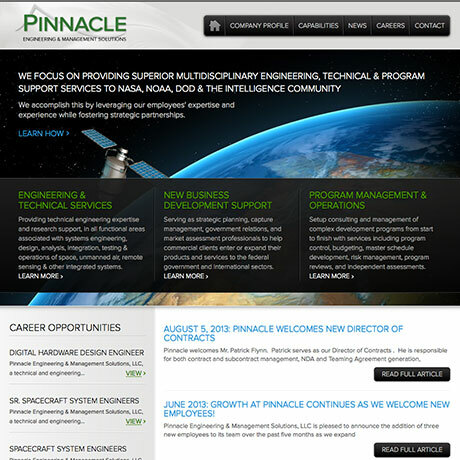 Pinnacle aims to leverage their employees' expertise and experience while fostering strategic partnerships throughout the intelligence community. 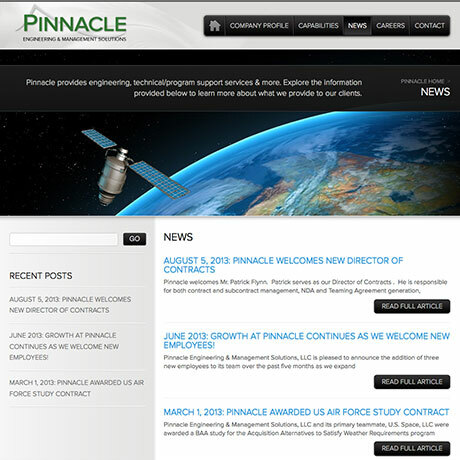 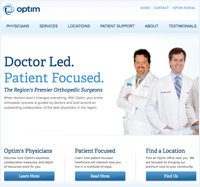 As a result, the primary purpose of the Pinnacle Space website was to assist in fostering the company's partnerships and growth, while creating a sophisticated presence that mirrors both the company's mission as well as its' goals.